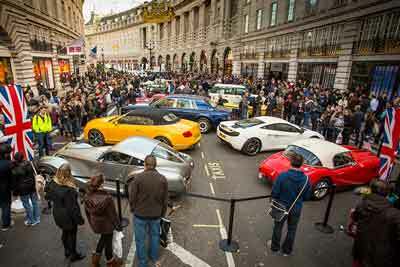 Huge crowds are expected as the free-to-view motor show once again takes over London’s Regent Street on Saturday 31st October 2015. Regent Street Motor Show 2015 – What’s on? 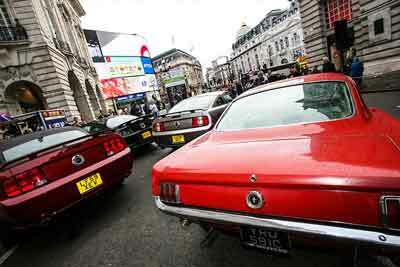 125 years of motoring history will line up along the famous street. At the Regent Street Motor show you will find cars from the earliest days of motoring with pre-1905 veteran cars on display as part of the prestigious EFG International Concours d’Elegance, right up to cars of the present day and beyond, giving Regent Street Motor Show visitors a glimpse of what the future of motoring might look like. 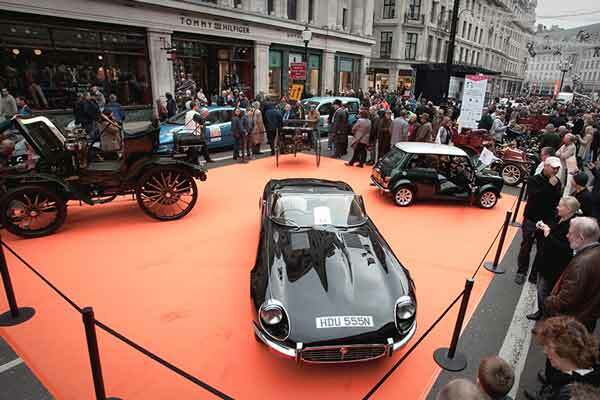 The Regent Street Motor Show takes place from 10:30am until 4:00pm on Saturday 31 October 2015. On the day, Regent Street will be closed to through traffic from Oxford Circus to Piccadilly Circus, providing a safe environment for visitors to enjoy this motoring extravaganza. The show is just one of three fantastic classic car events happening in London over that weekend, with the Classic & Sportscar the London Show on at Crystal Palace and the annual Bonham’s London to Brighton veteran car run setting off at Dawn on Sunday November 1st.